Tia and Brandy are for looking for a forever home. Since Brandy came to stay at the DPTC last year he and Tia have been inseparable so we'd like to find them a home together. 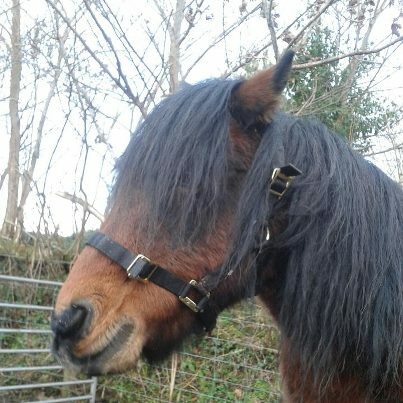 History & Temperament: Brandy has been with us since November 2011 when we were asked to look after him for a local charity. For the first 6 months or so he wasn't that keen on socialising but he seems to be more up for spending time with people. He'd had lots of change & disruption before he came to us. He has been ridden in the past but we haven't had the time to re-start him. If this is what someone wanted him for we could bring him back into being ridden but ideally he'd go as a companion. Please call Natalie for more information and to get a loan form emailed over to you. Thank you! 07802 218169.